I wanted to take the opportunity to let you know about some items that may be of interest. Many of you may have a listing already for those that don't Now is the Time to get listed! 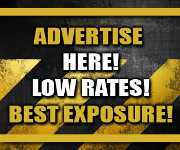 Excellent exposure for you and your business. JUNE New Listing Special: 1/2 off the second year! June Special: HALF OFF 2nd Year or 3 Years for Price of 2!! If you have a website please provide a link to FRN. This would really help in this website ranking well in the search engines. The better this site ranks - the more others will know about it. The more others know about this website the more people will become involved and participate. The more people that participate the better the website experience will be for you! Cross Web Tech for a special price on a complete website. Get a professional email address (YOU @fugitiverecovery.com) at which you can send & receive information or files with pride! 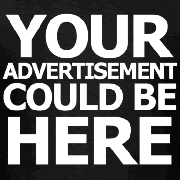 Represent the industry that you are apart of and promote your business with style! FRN offers multiple options for banner advertising to our visitors and members with rates & sizes to fit your budget and needs. The 2013 NABBI Summer Conference will be held July 14 – 16th, 2013 in Long Beach, California. This is a 2 day training and educational conference will be held at the Courtyard by Marriott, downtown Long Beach. Hope you have a terrific summer - enjoy & stay safe! ... not sure why the other page is coming up cause it doesn't really exist.... that one has been changed. http://www.nabbi.org has a new face. I will add a link to FRN on the NABBI page.... since a lot of the members have been seen on this site, I felt it is only fair at this time. Apparently you have a redirect setup in the .htaccess file - because it does go to the correct page! I have no clue what that is.... you know better than to use those high tech words.... I thought a redirect was what happens when the DETOUR sign is on the highway.... and what in the world is a .htaccess file ???????????????? .htaccess are files that provide a way to make configuration changes on a per-directory basis. A file, containing one or more configuration directives, is placed in a particular document directory, and the directives apply to that directory, and all subdirectories thereof. A redirect is when my wife takes the steering wheel and jeeps me from pulling in to the Harley dealership.